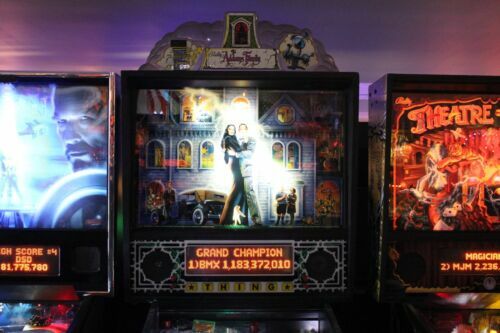 Addams Family Pinball Machine - Completely Refurbished! ADDAMS FAMILY Pinball Machine - Bally 1992 - Classic Arcade - Plays Great! ADDAMS FAMILY PINBALL MACHINE PLAY FIELD PLASTIC UNCLE FESTER RE-PURPOSED MOD! Copyright © 2005 - 2019 Arcade Auctions Deals • All Rights Reserved. Designated trademarks and brands are the property of their respective owners.